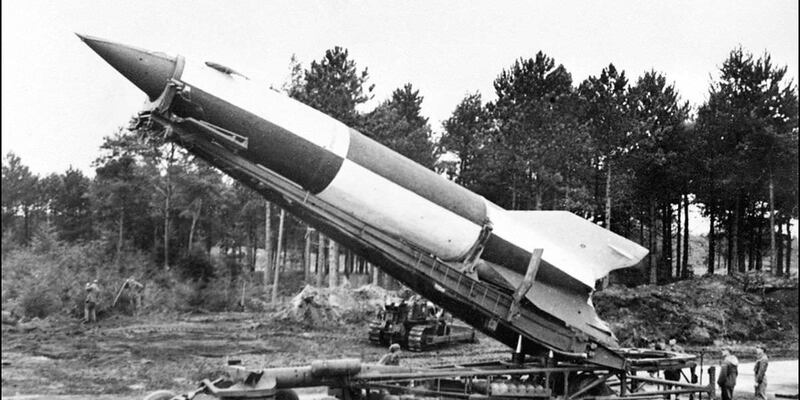 The German V-2 ballistic missile was a liquid fuel missile, the first in human history to reach space. Today, the missile, associated mainly with Hitler's war machine, was a huge technological leap, financed by Nazi Germany under the development program, the cost of which was at least $2 billion in 1944. During the war, German workplaces managed to produce 6,084 V-2 missiles, as many as 3,225 of which were fired in battles against the Allies, and another 1,000 to 1,750 were used in tests and training. Despite efforts, the missiles were inaccurate and did not change the course of the war, and turned out to be a huge waste of resources. Between 1945 and 1952 the British, Americans and Russians fired 86 German V-2s. The personnel and technology of the V-2 program were the starting point for the post-war development of rocket technology in America, Russia, and France. Wernher von Braun, leader of the Nazi missile program, was captured by the Americans and transported to the United States, where a Saturn V missile, designed under his supervision, took the first people to the Moon. Interestingly, the Germans also thought about conquering space. It should come as no surprise, therefore, that during World War II, von Braun and a team of scientists were analysing the possible evolution of the V-2 rocket into a manned space vehicle. Later versions of the rocket V-2, V-6 to V-12, were to lead the Third Reich to the moon and even further. The first plans for the development of the V-2 rocket emerged in 1940. The A-9 rocket was to consist of the first stage, essentially a V-2 rocket, but special wings were to be added to the structure to extend the range of the rocket from 250 to 550 kilometres. The manned version of the rocket would be equipped with an additional second stage, which would allow a man to reach space. Unfortunately, in 1943, the Third Reich government banned further work in this direction to focus on the military production of V-2 missiles. The idea of resuming work on an improved version of the V-2 came back in 1944, when German missile launchers had to be moved out of reach of the Allies. The first five copies of the prototype version of the A-9 were built by October 24, 1944. The debut took place on 27 December the same year and ended in a catastrophe. The rocket exploded near the launch pad. The second attempt took place on January 24, 1945. The rocket reached a height of 80 km and then (as planned) went on a sliding flight, reaching 1200 m/s. Unfortunately, during the slip one of the wings broke off and the mission failed. After the war, the idea of using the V-2 for manned flights into space did not vanish. Work on the manned version of the V-2 was carried out in the USA, Great Britain and Russia, where it was proposed to launch a man on board as early as 1948. After all, certain political decisions have delayed this achievement by years. The Russian modification of the V-2 rocket, was used to send dogs into space, but the capsule itself was too small to accommodate a human being. The United States ultimately lost the race to send a man into space. The winning USSR used the R-7 intercontinental ballistic missile, designed for this purpose by the Russian engineer Korolev. Three weeks later, on May 5, 1961, Alan Shepard became the first American in history to reach space. Developed under the guidance of von Braun, the Redstone missile was a highly modified V-2 missile, and Redstone was much larger and capable of carrying a nuclear warhead, which at that time was quite an important part of space operations. In addition to manned flights and military applications, the rocket was used to launch small satellites into orbit around the Earth.